BENTON HARBOR, MI: Whirlpool Corp. has consolidated the majority of its brand work under Peppercom, which it has worked with since 2006. Late last year, the company looked for ways to streamline some of its PR function, so it called Peppercom in to discuss how it could work more efficiently if it added to the agency's responsibilities, according to Monica Teague, senior manager of mass brands PR at Whirlpool. The company would not disclose the combined marketing budget. Internally, Teague's new role combines part of her previous corporate communications work and oversight of brand work which "does bring efficiencies." She was previously manager of media relations, but was promoted after former director of marketing and PR brand portfolio Audrey Reed-Granger's recent resignation. Peppercom had previously worked solely on the Whirlpool and Gladiator brands, while Carmichael Lynch Spong (CLS) was AOR for Maytag and Amana. 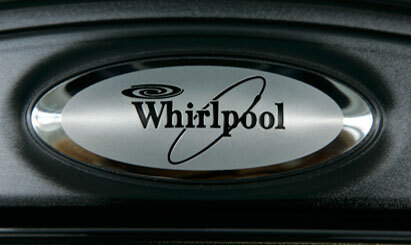 After the formal internal review, Whirlpool handed all four brands to Peppercom. The company did not look at outside agencies, focusing solely on the firms with which it was already working. Digitas is AOR for the Jenn-Air brand, which CLS had represented in the past. CLS had overseen Maytag and Amana since the late 1990s when the brands were part of Maytag Corp. When Whirlpool acquired the Maytag Corp. in 2006, the company represented the brands for the next two and an half years, said CLS president Doug Spong. Peppercom commenced work in its expanded role on January 1. The agency also did some work in December leading up to the International Builders' Show at the end of January, said Maggie O'Neill, senior director at Peppercom. The agency will add on-site staff to Whirlpool's headquarters and provide support across its departments, including GreenPepper, BrandSquared, and PepperDigital. “We will do everything from traditional PR to assisting with their Building Blocks Program,” said O'Neill. The firm plans to leverage new design concepts and existing spokespeople, such as the Maytag Repairman, through future events. Thom Filicia, an interior designer who was on Bravo's Queer Eye for the Straight Guy, is a spokesperson for the Amana brand and will be part of its continued social media outreach, she added. The company will also focus on promotions concerning water and energy savings in 2009. It plans to leverage the Whirlpool brand's Eco Kitchen's energy-efficient products like the Resource Saver refrigerator and Energy Star qualified Tier 111 Cabrio HE washer. Peppercom will be tasked with supporting educational programs through the Whirlpool Institute of Fabric Science, which provides consumers with tips on how to remove stains. Additionally, the firm will work on leveraging partnerships, such as with the Department of Energy, to further the company's commitment to energy efficiency. Teague said the company's decision to no longer employ CLS was not a reflection of the firm's work. Spong said, “We had the business for 10 years and loved every minute working with Whirlpool.” He explained that other account wins have put CLS in a good position despite losing Whirlpool and that the firm had a strong 2008 with an 8% increase in agency business.